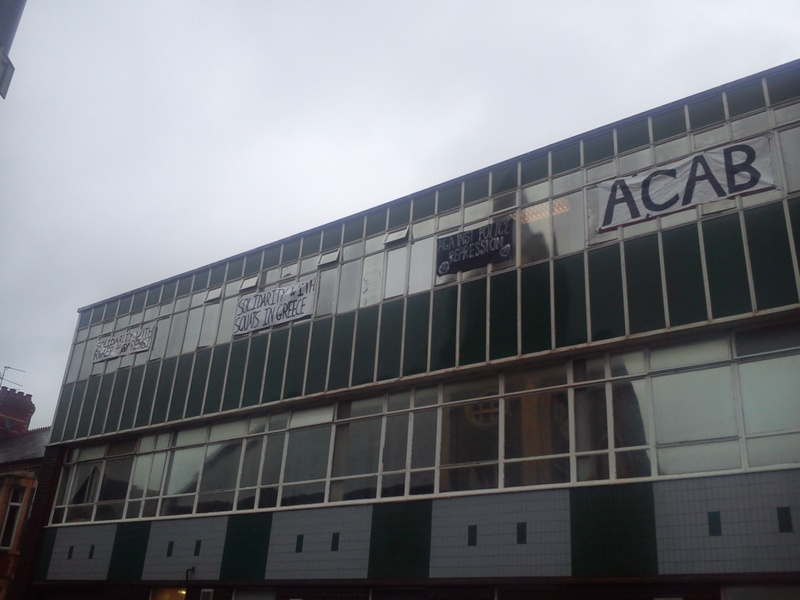 “At 5:00pm the 12th of June there was a banner drop and hundreds of flyers were thrown from a multi-storey car park in the centre of Cardiff, as part of the international day of soliarity for the nine imprisoned Anarchists in Turkey. 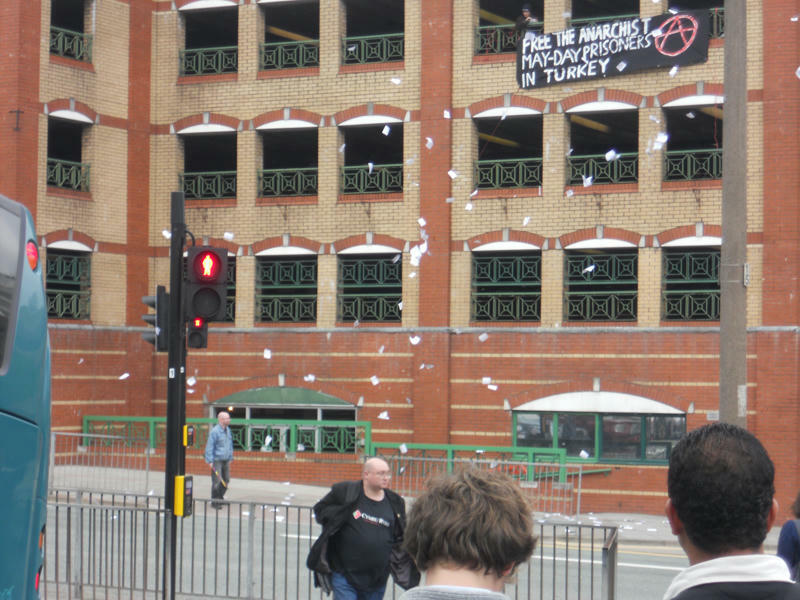 The banner read: “Free the Anarchist May-Day Prisoners In Turkey”. 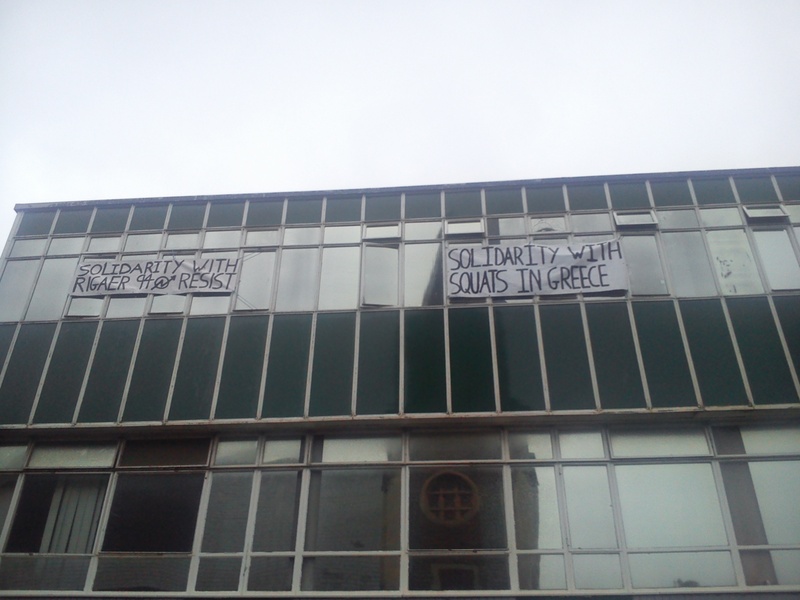 Two weeks later, the homes of activists were simultaneously raided and sixty people were arrested in connection with these actions. Nine of these people remain detained in prison. 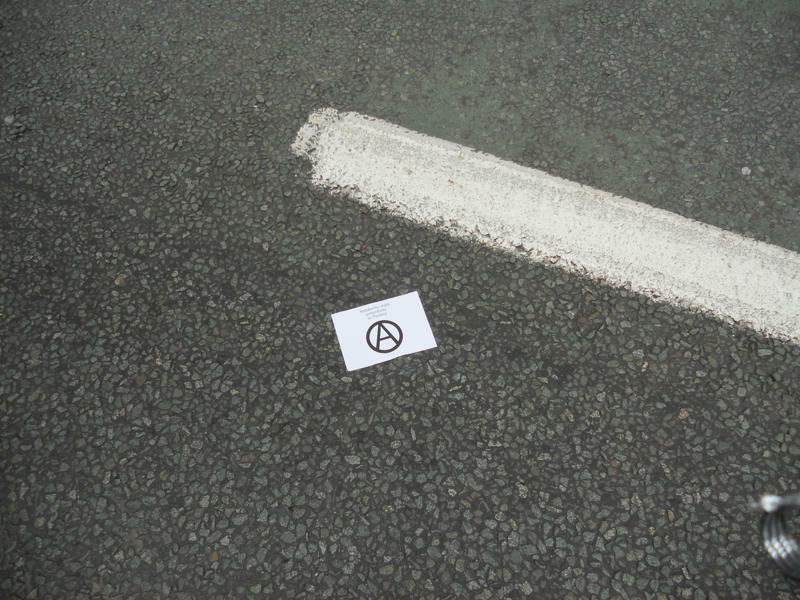 We demand the immediate release of those nine anarchist comrades in prison. 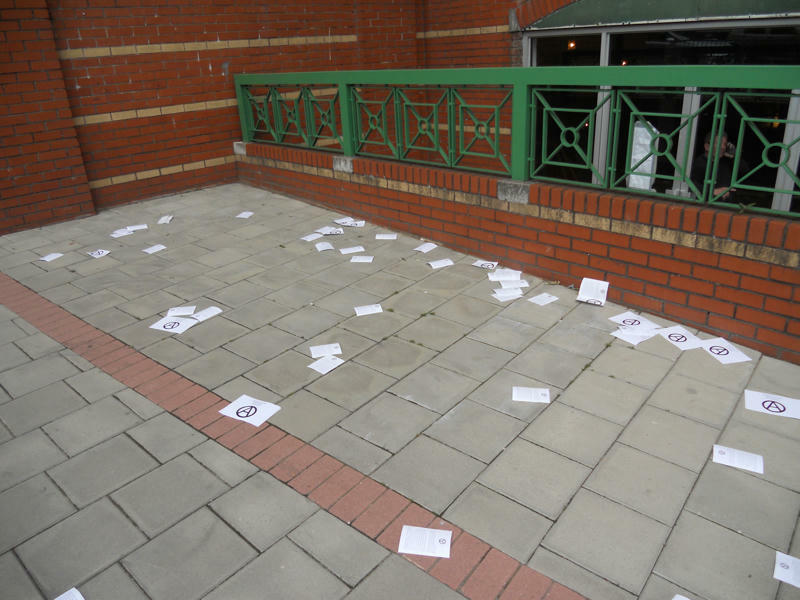 The flyers were blown throughout the city and many people picked them up out of interest. 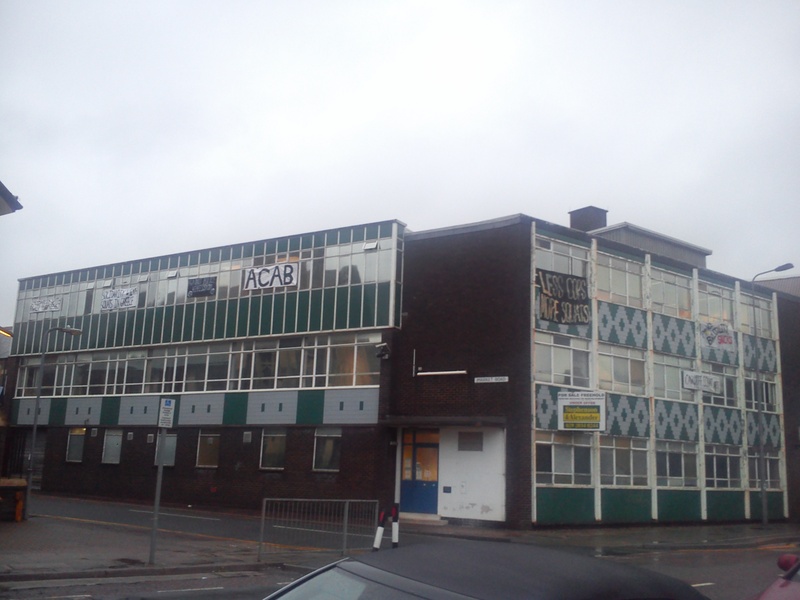 The banner remained on the car park the entire night, but was taken down at some point the next morning.